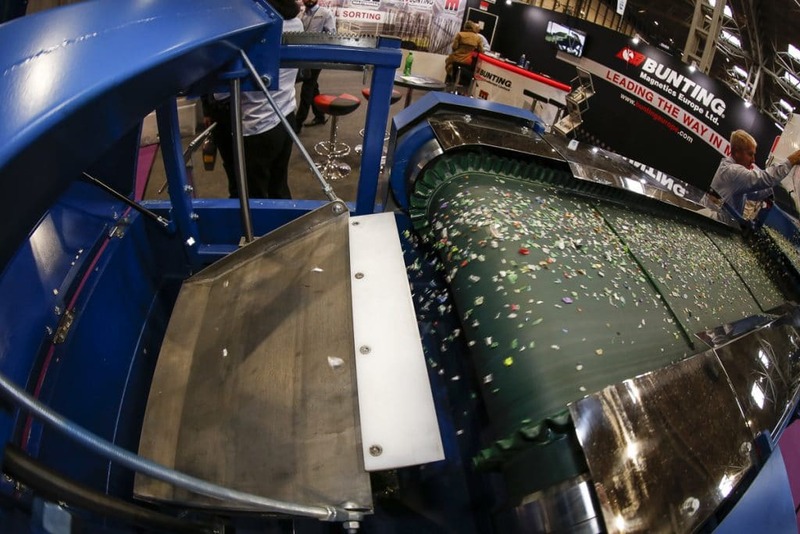 When visitors entered the main hall at this year’s RWM Exhibition, their attention was immediately drawn to Metal Separation equipment operating on the Master Magnets and Bunting Magnetics Europe stand. The stand was the largest exhibiting Magnetic Separators and Eddy Current Separators at the show. “With our stand being in prime position as visitors entered the show, it was important to capture their attention and ignite their curiosity with action and noise,” said Jonathan Millington, Master Magnet’s Marketing Manager. A small Permanent Overband Magnet was also on display. Following RWM, many visitors will be visiting or sending samples of material for testing to the Metal Separation Test Centre at Redditch near Birmingham. Since Master Magnets was acquired by Bunting Magnetics in January 2017, the company’s presence at major trade shows across Europe has increased significantly.